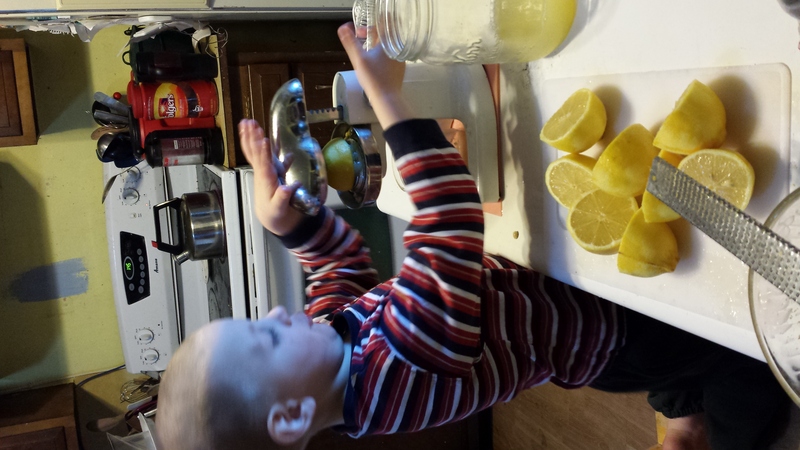 Processing Lemons: Finding Some Sunshine in January! When we lived in Arizona we had a wonderful lemon tree in our backyard as did my husband’ parents. Although I absolutely love living in Montana I do miss our lemons! 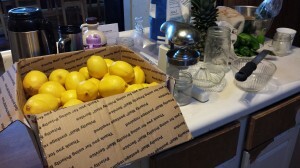 Thankfully my in-laws are so generous that every year they send us lemons in a flat rate box! And they often juice several lemons and freeze it to bring when they come up in the summer. This year my 4 year old son was my big helper when we got our lovely box of sunshine! 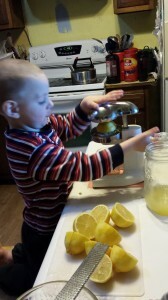 We love our juicer (and we have used a lot of different ones). This one gets the most juice out of any manual juicer I have used. They have them at Amazon and we have found a couple at thrift stores. From our box of lemons we were able to squeeze a little over a quart of juice. Lemon juice goes a long ways! 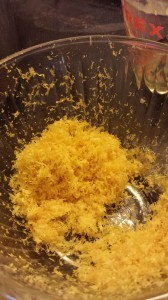 We were able to make a gallon of lemonade, a pint of lemon curd, a lemon coconut impossible pie, a batch of lemon coconut power balls and had a little more left over besides. 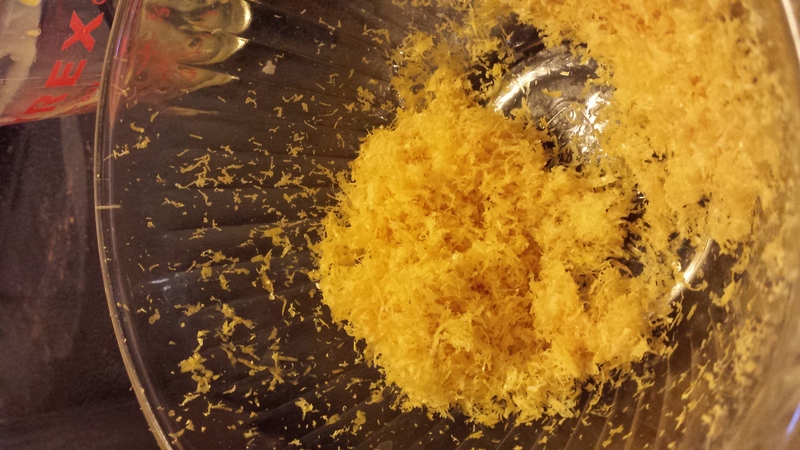 I also used my microplaner to grate the zest from the lemons and got about a cup of zest. I will freeze that and be able to add some lemony goodness to foods throughout the year. 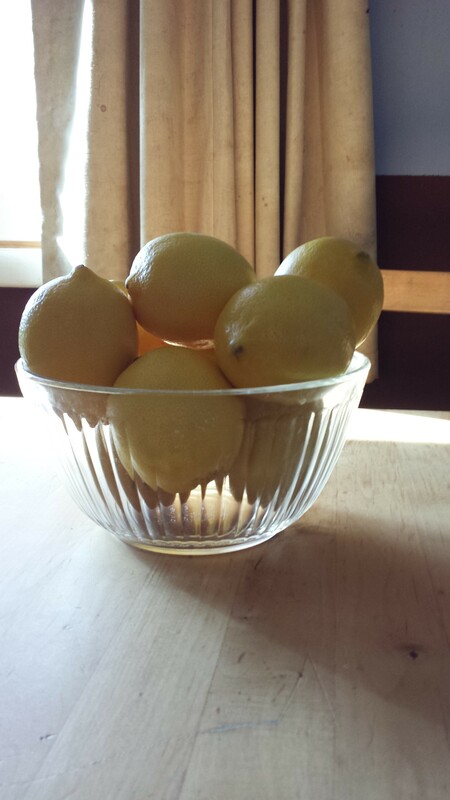 I will be posting our lemony recipes through out the week. What is your favorite lemon dish?